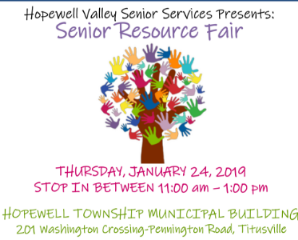 Hopewell Theater is proud to be represented at the Hopewell Valley Senior Services’ Senior Resource Fair! Drop in anytime to enjoy a free lunch from Brandywine Senior Living, as well as get information about helpful resources, businesses, and organizations in the area. There is no registration required. Be sure to check out Hopewell Theater’s table at the event as well. We’ll have prize drawings and handing out information about the theater and our diverse lineup of programming. HT views Senior Services as an important organization within our community: we hope to see you there next Thursday!